Ambitious. With the fourth generation of the ZenFone series, Asus challenges a fiercely contested submarket by not only offering competitive pricing but also by providing their latest offering with a strong camera. Moreover, ZenUI has taken a great leap forward, making it seem positively grown up! Одна из главных особенностей телефона — его функциональный, но немного увесистый интерфейс ZenUI 4.0. Он предлагает много интересного — от фирменной клавиатуры и защитника, до управления жестами и настроек всего, что есть на смартфоне (звук, режимы батареи, изображение и так далее). Это понравится любителям покопаться в настройках и подстроить что-то. Но для остальных это будет чрезмерно и запутанно — ведь во все это нужно вникать и разбираться. Другими особенностями назовем стеклянную спинку с бликующими концентрическими окружностями под ней, двойную камеру и стереодинамики. За эти деньги есть много интересных смартфонов, каждый со своими крутыми фишками: Honor 9 — флагманская камера, Moto X4 — защита от воды и необычный дизайн. OnePlus 5 до сих пор остается одним из самых мощных Android-смартфонов, а LG G6 знаменит экраном с тонкими рамками и ударопрочным корпусом. Все эти аппараты актуальны до сих пор, рекомендуем обратить на них внимание. 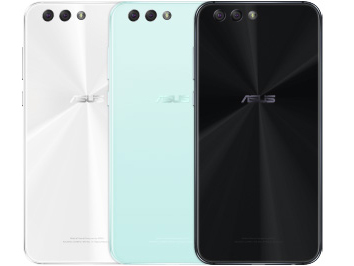 Встроенной памяти у всех версий Asus Zenfone 4 установлено 64 ГБ. Этого должно хватить для большинства потребностей. Если же этого окажется мало, к вашим услугам слот для карт памяти microSD объемом до двух терабайт. The Asus ZenFone 4 is something of a Marmite smartphone. Slim, relatively light and possessing an above-average main camera, punchy audio, solid battery life and decent build quality, Asus gets a number of important factors right for this upper-midrange handset. However, the list of potential gripes is equally as long, with the ZenFone 4 outfitted with a slippy back, average screen, and, for the price, only a Snapdragon 630 chipset. Overall, I really top handset. I’m only sorry that it’s not available on the big networks here in the UK, so you’ll need to go through Amazon or Tesco for £449.99 or perhaps on a plan via Carphone Warehouse. It is a fantastic handset and priced well considering the quality and speed of it. All in all, it is definitely a good phone for £450. It doesn’t really do anything special, but if you want a solid mid-range phone that doesn’t have any serious weaknesses, the ASUS ZenFone 4 will likely appeal. And that's where I feel it comes to a sad conclusion. The ZenFone 4 is an excellent phone, but it's one that many may pass over because of its price. If the ASUS thing takes your fancy, the entry-level ZenFone 4 Max with an enormous battery is £200 less. But at £449, you're paying a fairly high price for a mid-range device. Ultimately, that's where it comes unstuck. Overall, the ZenFone 4 is still a pretty good phone. My favourite features have to be the beautifully compact design, excellent battery performance and the camera is quite good too and it handles games quite well. The 8MP wide-angle is still okay in certain situations, but seriously, they really need to fix the connectivity performance. You may also find that your ZenFone 4 lags at times, so always be sure to check if there are any software updates because during my three weeks review, I've updated it three times already and I'm sure they will continue to roll out more. Revisiting the ASUS ZenFone 4: A Formidable Premium Mid-Range Phone? Here’s the thing — the ASUS Zenfone 4 is underrated. People don’t get to see how good it really is because they’re immediately turned off by the price. Other flagship devices are just a few thousand pesos more so it’s hard to not consider other options. The hard reality is that the ZenFone 4 faces a tough competition at its current price point. Probably doesn't signal the start of an Asus assault on our phone-buying habits, but the ZenFone 4 is perfectly potent - if a little too stuck in its ways when it comes to software. All-in-all, the Zenfone 4 (SD630) is pretty much similar to its more powerful twin – same attractive and premium build, Super IPS display, and good camera quality. The only difference is the slight decrease in performance. Still, this device is capable of handling multiple tasks and a worthy addition to the Zenfone 4 lineup.